Lori's goal has always been to help her clients achieve their goals through effective, fun workouts while also being able to answer any general questions they may have about their overall wellness and fitness. Lori has been working in the fitness industry for the last 8 years. She has helped numerous clients change their bodies and their lives in a positive way by teaching them about the importance of exercise and a healthy diet. Lori is working on an Exercise Science Degree and on a comprehensive Pilates certification. She likes to stay current on the new exercise trends and attends workshops often. Lori has always been an active person and has always enjoyed exercise of any kind. In high school and College, Lori was a long distance runner and horse back rider. Being a runner and horse trainer were both physically demanding activities and Lori soon realized the importance of a full body workout in order to keep a balanced body, along with eating healthy, in order to stay pain free while keeping up such an active and demanding lifestyle. 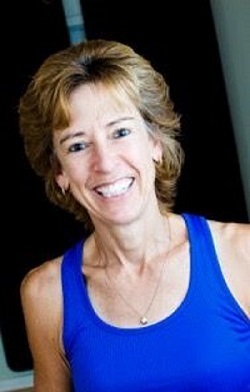 Lori trained and competed professionally for about 30 years. Lori enjoys sharing what she has learned and continues to learn about the benefits of exercise with others. Being a trainer and group fitness instructor has been a very rewarding career! Lori is an AFFA Personal Trainer and Group Fitness Instructor, SCW Pilates, TRX and Rip Trainer, as well as Madd Dog Spinning certified.